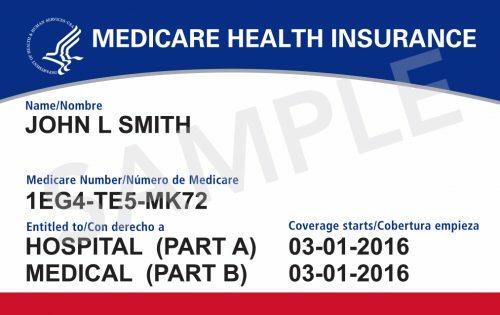 To better protect your identity, Medicare has started mailing out new Medicare cards that replace your Social Security Number with a new Medicare Number. It will take some time to send these to all Medicare members, so you should receive a new card in the mail by April 2019. All people joining Medicare for the first time will also receive the new card. This will not affect your Health Alliance member ID cards. You may still get a new ID card from us as you renew, but that’s not related to Medicare’s card changes. Medicare will also send us your new numbers to put in our system, but we may verify your new number when you call our customer service. If you want to know when new cards start mailing to your area, check the new Medicare card mailing strategy or visit Medicare.gov/NewCard to sign up for email alerts from Medicare. You can also get more information at Medicare.gov or by calling Medicare at 1-800-633-4227 (TTY 1-977-486-2048). Make sure you receive your new Medicare card by checking that your mailing address on file with Social Security is up to date. If your address needs updated, contact Social Security at SSA.gov/myaccount or call 1-800-772-1213 (TTY 1-800-325-0078). As soon as you receive it, you can start using your new Medicare card just like you used your old card. It doesn’t affect your Medicare coverage or benefits. Doctors and other healthcare providers know that Medicare is replacing your old card, so they’re ready to accept your new card as soon as you have it. Medicare Advantage members should continue to present their Health Alliance ID cards when getting care or prescriptions, but you should keep the new Medicare card in a safe place. You can also continue to use your old card until your new card arrives. Providers and insurers will accept both old and new Medicare cards through December 31, 2019. Once you receive your new Medicare card, protect yourself by securely destroying your old Medicare card.